To celebrate International Women’s Day, Marissa Callaghan - captain of the Northern Ireland women’s football team and ambassador of the Electric Ireland’s Game Changers campaign, in partnership with the Irish Football Association - speaks about how the game has changed in Northern Ireland for women’s sport. Marissa’s football story began as she was growing up. In West Belfast, there were limited opportunities for Marissa to get involved in football with no girls’ teams in the area. Marissa worked as Active Communities Coach in schools before taking on her current role with the Irish Football Association (IFA) as a women’s football ambassador, promoting the sport as an option for girls and women in clubs and schools. 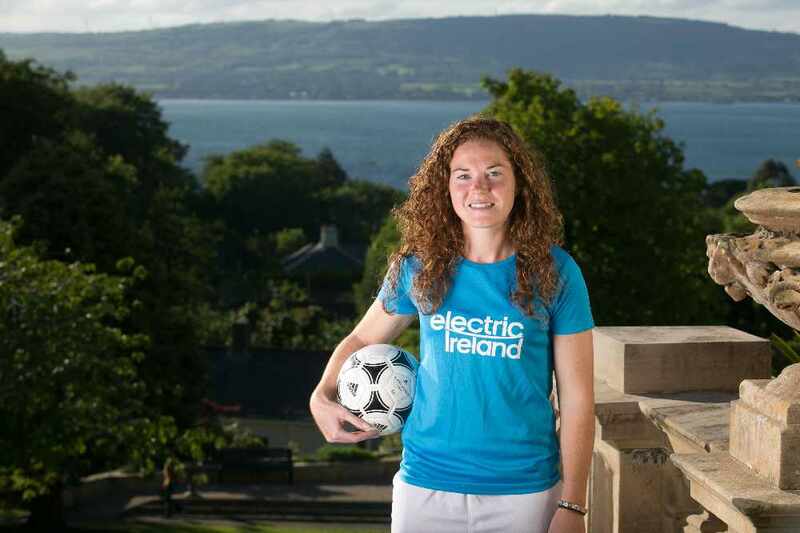 Marissa is also an ambassador of Electric Ireland’s Game Changers campaign in partnership with the IFA which launched in May of last year. Electric Ireland is the proud sponsor of women’s football across Northern Ireland and through the Game Changers campaign aims to break down the perceptions that exist around women’s football, celebrate female football talent and most importantly help boost participation rates. Playing for Northern Ireland for five years has allowed Marissa to meet new people, travel the world and grow not only as a footballer but also as an individual. “My proudest memory was last January when Northern Ireland Women travelled to Portugal. We played two games and although we lost the first 2-0 we managed to win the second. The final score was 1-0 and I was delighted to have been the goal scorer. Our win highlighted that we have the talent to beat a world class side. The future for the Northern Ireland Women’s team and women’s football in Northern Ireland in general is a bright one. You can learn more about the Game Changers campaign here. Join the conversation using #GameChangers.